Half the people who came on the first Venice trip in September loved it so much they will return with me next year. The palacial apartment offers the choice of being part of a group or going your own way. People will be sharing but bedrooms are huge and all are ensuite (more information on the Accommodation page). 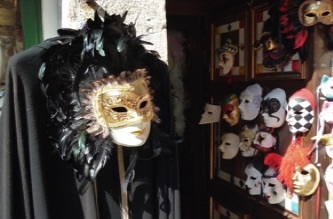 On this holiday you will feel as though you are part of Venetian life. You will be staying in my favourite part of Venice which is quiet yet central and surrounded by fascinating and beautiful sights. Most visitors to Venice are day trippers having to enter and leave each day and they often try to fit in too many, often crowded, sights at once which can make for a busy, tiring and frustrating time. You will enter Venice by water taxi along the Grand Canal, an experience in itself, to arrive at a wonderful apartment in the heart of the city. 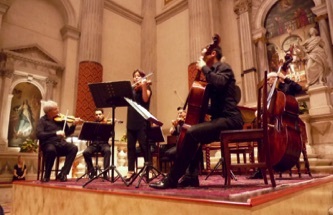 When the day visitors have gone you can enjoy a performance of Vivaldi’s Four Seasons in a beautiful Venetian church or stroll along the Grand Canal or eat in a restaurant on the lagoon with views towards the island of San Michele and Murano. You could even experience grand opera at La Fenice, Venice's famous opera house, as some of us did on the first trip. 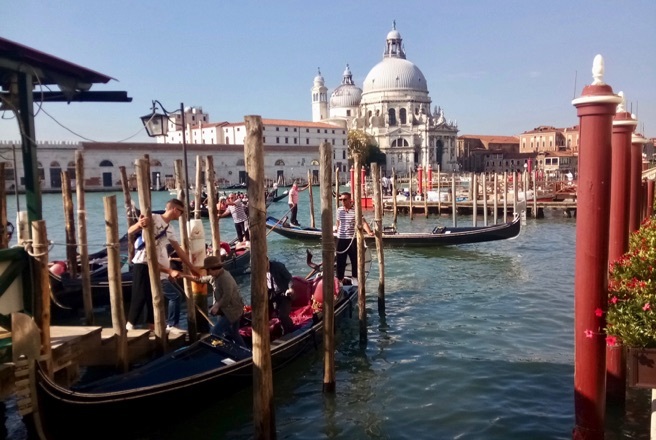 I will offer to take you to popular tourist sites such as the Grand Canal, St Marks Square, Rialto Bridge and Market as well as quiet areas off the tourist track. Amongst a wealth of options you could visit a museum and workshop of musical instruments, a most unusual bookshop, grand squares, peaceful squares, art galleries, beautiful shops and much more. We will be staying close to the ferry point for the islands of Murano, Burano and Torcello. The holiday will be self catering as the apartment has a smart, brand new, fully fitted kitchen/breakfast room with integrated appliances as well as a formal dining room. Nearby are supermarkets and an excellent local wine shop where they refill litre bottles for only 2 euros and the fabulous Rialto Market is only a short walk away. Cheap flights (not included) from Bristol, Gatwick or other UK airports to Venice Marco Polo. For those wishing to sketch or paint I can provide tuition and take you to some of the favourite spots for artists as well as hidden gems. Sketchbooks and watercolours are easiest to take on the flights and to carry around when you are there. "Travelling to Venice with David and his group was like a dream come true for me. The palazzo was perfect in every way. Excellent location with everything on hand and in walking distance. Huge en-suite bedrooms, excellent communal spaces with high quality furnishings, and a beautiful shaded veranda which was the perfect spot in take respite from the heat of the day or for a pre supper cocktail or two. David could not have been a kinder, or more congenial host. His knowledge of Venice is excellent making him the ideal companion to discover the many treasures that Venice has to offer. I couldn’t have wished for a better way to discover Venice, and I can’t wait to rebook." ALL WELCOME - NOT ONLY ARTISTS!